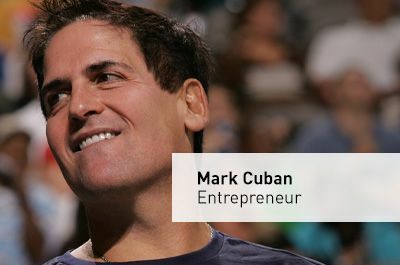 He is one of the most influential entrepreneurs of our time. He embodies the spirit of what is possible. He’s smart. Humble. Disruptive. Respectful. Accessible. And incredibly successful. If we do our job well, we’re one or two of these things on a good day. Rarely are we all of them. So we are honored to feature Mark as our cover profile in the inaugural issue of Connect, the TrueCar magazine created exclusively for our TrueCar Certified Dealers. With his boyish good looks and mellow style, Owen Wilson is one of Hollywood’s most sought-after stars. Whether he’s playing an astronaut, a cowboy, or the animated race car Lightning McQueen, he’s always Owen—transparently good-natured and effortlessly authentic, traits that endear him to the audience that loves him most—Millennials. I sat down with Owen for the celeb’s take on everything from his first car to TrueCar. What emerged was a sometimes scattered but wonderfully illuminating mix of quirky insights and Zen-like wisdom. Find out why, as the new voice of TrueCar, Owen speaks for the next generation of car buyers. Lucas: Hey, Owen. Thanks for making this happen. I know you’re often in exotic places doing amazing things, so I really appreciate you giving us this time. Lucas: In American culture, we have this love affair with the open road—the promise of it. Insights from arguably the most inspiring life and business coach of all time. My wife and I did his Personal Power program more than 20 years ago. 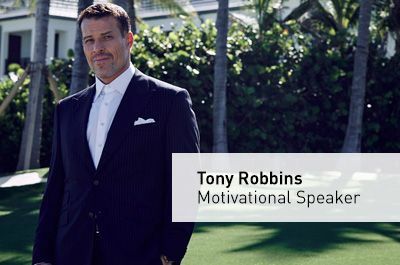 We called the 800 number right off the television offer and two weeks into the course, our lives were changed for the better beyond our wildest imaginings. He has endured for over 30 years because his principles work. What follows isn’t a pitch for Tony’s program. It’s a conversation with a man at the epicenter of disruption about the role transparency plays in business and in our personal lives. The importance of trust. And ultimately, love. 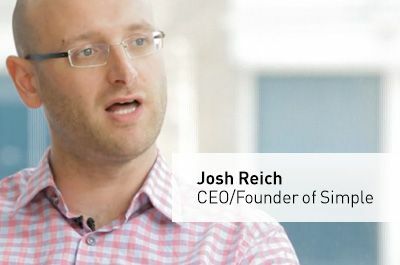 I had the pleasure of chatting with Simple CEO and Founder, Josh Reich, at their headquarters in Portland, Oregon. The Simple thesis, is well, simple. The current financial system confuses people and that is a contributing factor to the high debt rate in our country. Make banking transparent and easier to understand and you do more than help build better financial practices for people, you help build people up. I love Simple. I want my daughter to bank with Simple, because they are in business to do more that just make money, they exist to teach about money. That’s empowering. There’s a certain liberty that comes from having enough money to know your family is going to be OK. And perhaps you can afford even more daring when you know they’ll be more than OK, no matter how many people you piss off on your way to doing the right thing. 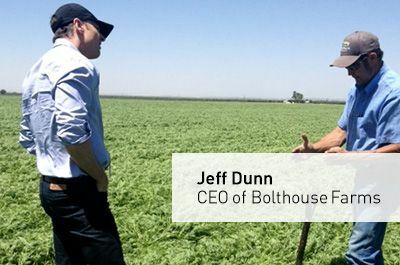 Jeff Dunn knows a few things about that. He did well at Coca-Cola as the head of North and South America. But at some point in his mid life he realized that doing well wasn’t enough, particularly when doing well is at the expense of fellow humans. 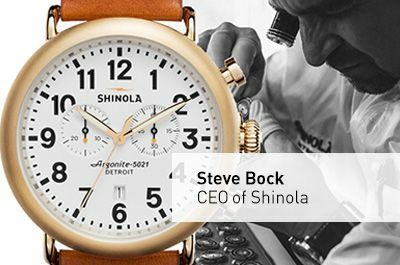 Meet the CEO of Shinola, maker of luxury watches, leather goods and bicycles honoring traditional American craftsmanship. I was sitting with my car friends the other day at lunch. They had just returned from the Detroit Auto Show. Being died-in-the-wool car guys, they know Detroit well. I asked them how the resurgence of the town was going. “What resurgence? Detroit is bankrupt.” I was interested in this subject because after my conversation with Steve Bock, the CEO of Shinola, one of America’s most interesting emerging brands, I heard quite a different version of what is happening in Detroit. Shinola is a maker of vintage watches, leather goods, and bicycles that honor the traditional American craftsmanship that made Detroit a mecca of industry during the turn of the last century. The Shinola headquarters is in downtown Detroit (name bldg.) 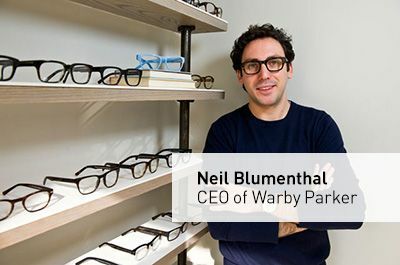 and they have a vision for a way to make high touch manufacturing a darling of retail that also puts people back to work making products they are proud to stamp their initials on. 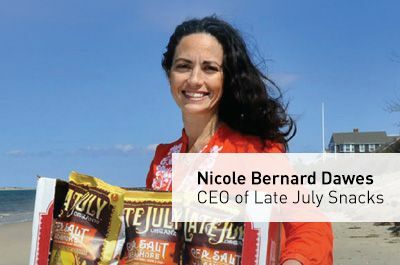 The CEO and founder of Late July Organic Snacks shares the key to winning the war on junk food. I started my chat with Nicole Bernard Dawes, CEO and cofounder of Late July Organic, by asking the annoying and probably sexist question, “How do you balance being a mom, having a family, and running a company?” In all my interviews with men, I don’t think that question ever even crossed my mind. Nicole’s answer was instructive. “I never had a nanny. I work with my husband and the kids came to work with us until they were 3. Now we take time out of the day to go get the kids at school and 6 o’clock family dinner is something we do almost every night.” As a fellow CEO, I think that’s impressive. I can’t remember the last time I came home for a 6 o’clock dinner.